After being asked numerous times about my eyebrows, I finally got around to doing this video but due to a quite hectic and still occupied week, I'm just getting this done now. I doubt I will be posting until probably the weekend - next week earliest. Anyway - here's the video (below) considering my left brow is my favourite, heaven know's why I worked on the sister right brow, anyway y'all will get the grasps of it. 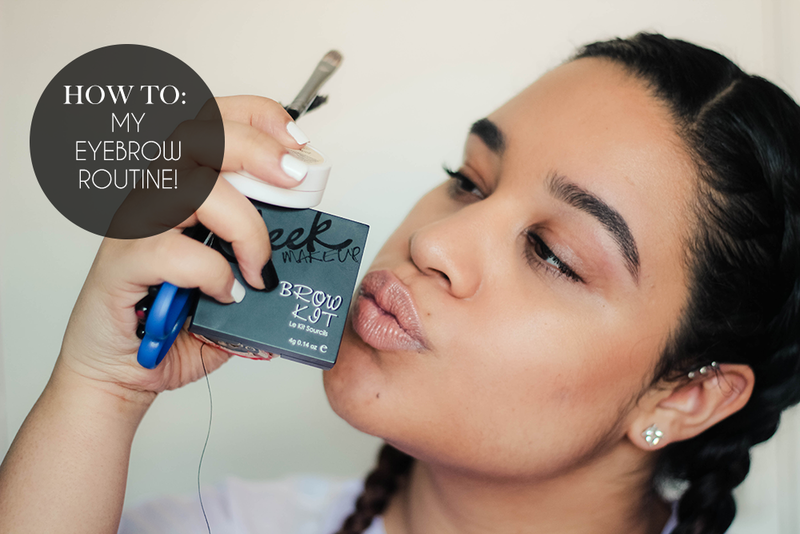 This was really useful :) been considering buying the sleek brow kit for a while now... You've persuaded me! I used to be very good at maintaining my own eyebrows (I couldn’t tread them though) however years of plucking, threading and waxing have left them quite thin and patchy. I use a stencil to fill in and shame my brows which I have been told is a major faux pas. Loved watching this, you are perfection and so is your blog!